Following from the earlier poems about Sir Edward Pellew, Lord Exmouth, and his exploits, this posting is a poem written to celebrate Algiers Day at Bitton House in 2007; although it covers a number of Pellew’s triumphs, not just Algiers. This should be the last in the suite of Pellew Poems …… unless of course I find some more! Algiers Day marks the triumph of Pellew in the bombardment of Algiers and the release of 1000 Christian slaves from the city. The poem was first published in the Journal of Teign Heritage No 77, Spring 2008 and is an interesting take on his life. With me you would sink or you’d swim. And poor Pownall fell dead at my side. And the ‘Stanislaus’ struck, and we claimed her. Why ‘twas almost as if it were planned. But we boarded, she struck and surrendered. All over in under an hour. We had many a duel with ‘Froggie’. But we drove her aground, just off Brest. And rejoiced to be called back to sea. Or risk it all ending in tears. And could breathe God’s fresh air , once again. Are relics of a glorious day. Was not held in contempt by the ‘Dey’. You served our King George just as well as did I. Who defended old England’s proud name. Aye we’ll both do it all over again. Battle of Algiers – an aside ….. This entry was posted in Edward Pellew, People, The Sea and tagged Apollo, Battle of Algiers, bombardment of algiers, cleopatre, les droits de l'homme, Lord Exmouth, pellew, poetry in Teignmouth, Pownall, Sir Edward Pellew, Stanislaus, Teignmouth poetry on August 27, 2014 by pherecrates1. Two places, Teignmouth and Algiers, linked in time by one man, Sir Edward Pellew. This post is specifically about one of his greatest victories – the Bombardment of Algiers and freeing of 1000 Christian slaves. The bombardment actually took place tomorrow (27th) but I have something else planned for that. Interestingly the poem is written by an American poet but was rejected by a USA publication, the ‘Atlantic Magazine’: “Lord Exmouth’s Victory at Algiers in the year 1816, we skipped, because we think it is unpatriotic to write or read about English naval victories while our own are unsung” (2 April 1825). Lord Exmouth’s Victory at Algiers — 1816. Of God, and mutely sang her joyous notes of praise. Stood ready for the fight. Rung round the spacious bay. As on that bloody day. What though the sun has sunk to rest? Fights — to his country true. The pride of Britain’s crown! Algiers! thy day is done! John Brainard and poem notes …..
Battle of Algiers – an interesting aside …. This entry was posted in Edward Pellew, Stories, The Sea and tagged Battle of Algiers, bombardment of algiers, john brainard, Lord Exmouth, matisou, pellew, poetry in Teignmouth, Sir Edward Pellew, Teignmouth poetry, women in the navy on August 26, 2014 by pherecrates1. Over the next couple of weeks I shall be posting a series of poems about the exploits of Sir Edward Pellew, Viscount Exmouth. 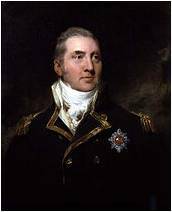 He is probably Teignmouth’s most famous historical figure and was the inspiration behind the C S Forester Hornblower novels. 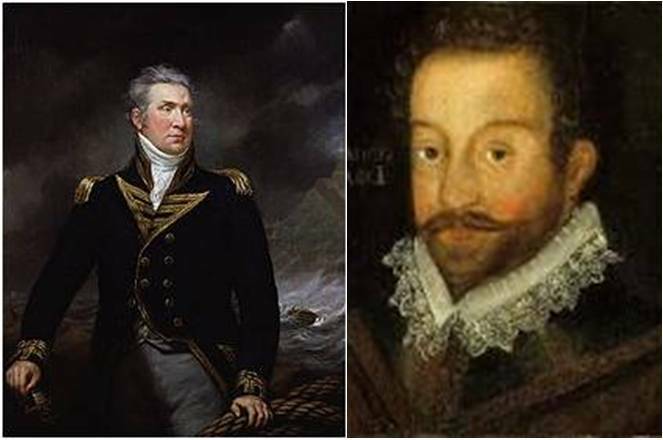 Through a rare combination of extraordinary courage and seamanship he progressed rapidly through the naval ranks to follow in Nelson’s footsteps as Commander-in-Chief Mediterranean Fleet and subsequently Vice-Admiral UK. Not bad for someone who ran away to sea at age 13! 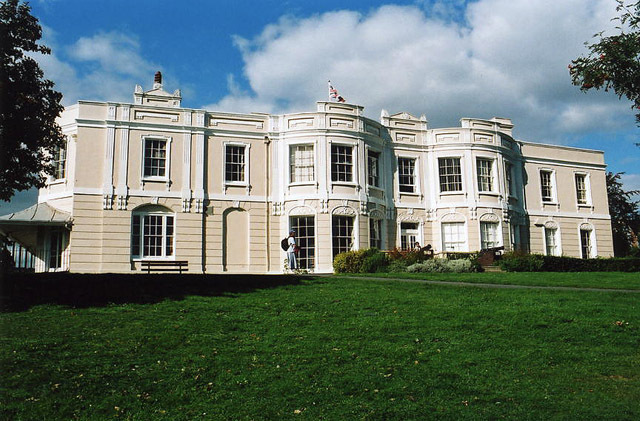 His principal family home was at Canonteign in the Teign valley but the last twenty years of his life was spent at Westcliffe House (now Bitton House) in Teignmouth. So why have I waited to post about him until now? 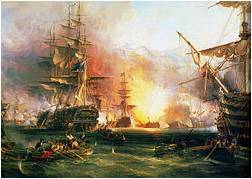 One of his most famous naval engagements was the Bombardment of Algiers which is remembered in Teignmouth on 27th August. This first piece of verse is actually just an extract from a much larger piece of work (an epic running to 130 odd pages) by Josiah Walker in 1803. The work is essentially a eulogy of Britain’s role in maintaining world order, a large part through its naval supremacy from the 16th century onwards. It’s interesting that Pellew, who would have been in his forties at the time, had gained such heroic recognition as to be included in this massive work. Valour as firm and clemency as kind. His bony cheek with ravenous rapture flushed. Mid shouting thousands to the echoing shore. On him, with faint returning lustre, gazed! Oh! For an hour of such supreme delight! The rich repose, the dreams of such a night! And tell how Britain’s boisterous tars can feel. Yet ah! Illustrious guardians of her doom! Why send the brave, unhonoured, to the tomb? Why the maimed rite to hostile valour paid? Why wreak resentment on a soldier’s shade? The dust of him, Pellew had deigned to praise? The Defence of Order, the book ….. This entry was posted in Edward Pellew, The Sea and tagged Algiers, bitton house, bombardment of algiers, canonteign, dutton, Lord Exmouth, poetry in Teignmouth, Sir Edward Pellew, Teignmouth poetry on August 14, 2014 by pherecrates1.